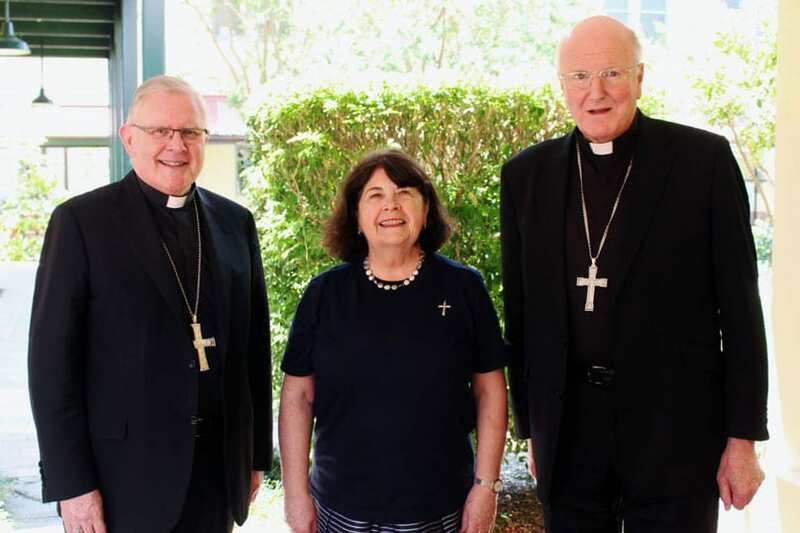 Archbishop Mark Coleridge, Sr Ruth Durick and Archbishop Denis Hart at the launch of Catholic Professional Standards. Last week, the Australian Catholic bishops announced the establishment of Catholic Professional Standards, a new company with a mandate to develop new standards for the protection of children and vulnerable adults, audit compliance with those standards and publish reports relating to those audits. The mission of this new company – the safeguarding of children and vulnerable adults – is vital, and deserves our unequivocal support. But part of showing support includes asking important questions. For about a decade, I was a corporate lawyer and worked in and with companies which were highly regulated. One of the standard practices was to have company policies which went above and beyond its legal requirements, so that the company was not simply compliant with the law, but engaged in best practice. In this respect, there are parallels with what Catholic Professional Standards will be doing. With companies, there is a difference in the way breaches are dealt with depending on whether they are a breach of company policy or a breach of the law. Breaches of the law need to be reported; breaches of internal policy do not. While it is not clear, it does not appear Catholic Professional Standards will make such a distinction, and instead will report the full results of any audit. This might seem like a good idea (after all, we want to be 100 per cent transparent) but my experience in corporate compliance gives me reason to doubt the wisdom of such a move. I know this is an unpopular opinion, and no one wants to be a handbrake on a safeguarding initiative, but serious questions need to be considered. Please indulge me for a few minutes and I will try to illustrate my point with a hypothetical example. Imagine there is a parish named St Brutus’ in an unnamed Australian diocese, and Father Jim is the parish priest. Imagine also that Catholic Professional Standards has made it policy that every person involved in a ministry in a parish is required to hold a Working with Children Check. Father Jim wants to make sure everything is done properly, so he defines everything as a ministry and requires his youth leaders, acolytes and altar servers, musicians, readers and even the ladies who arrange the flowers to obtain Working with Children Checks. A team is sent out to audit St Brutus’, and happens to be there on a day when Father Jim is celebrating a funeral. As it happens, two of the deceased’s grandchildren are given the role of proclaiming the readings at the Mass. The auditor asks Father Jim whether those readers have Working with Children Checks. Father Jim doesn’t know, because he never asked them. He did not think that relatives of the deceased who are only going to read at a funeral Mass were “ministers,” even though they were engaging in the same ministry as other readers who are required to be checked. Father Jim admits he has never asked readers at a funeral for Working with Children Checks. The auditor records that Fr Jim has celebrated 32 funerals in the past year, with generally two readers per funeral, and notes this in the audit report. A journalist reads the report, and publishes a story which says that Fr Jim at St Brutus’ allowed 64 people without Working with Children Checks to minister in his parish at times when children were present. What happens to Father Jim after this? Will parishioners complain to the Bishop and ask for Father Jim to be disciplined? Will parents pull their kids out of the youth group? What do we think will happen to enrolments at St Brutus’ Primary School in the years that follow? Father Jim didn’t break a law, and he didn’t put any children at risk, but the 7.30 Report is now camped out on his doorstep. A Priest at a neighbouring parish doesn’t want what happened at St Brutus’ to happen at his parish, so he doesn’t allow grieving relatives to take part in funeral liturgies. Bishop Bob decides that to avoid more bad publicity and the resulting scandal, he will change his mind. This is a small, but significant concession. Under Church law, a Bishop has ultimate authority over his diocese, and in providing an avenue for an independent body to be able to exert influence over the decisions he makes by using public pressure, he loses some of that authority. While this particular incident seems like small potatoes, it sets a precedent. An apostolic Church needs to be really careful about taking authority away from the successors to the apostles, or it won’t be apostolic for long. In my little story, no one is acting in bad faith (except, perhaps, the media). Everyone is just doing their job and doing what they think is best to safeguard children, but even a simple incident can have dramatic, public results. That’s why I hope that there is wide-ranging consultation with people engaged in all forms of ministry, and a good period of discernment, before this new body is established. Heaven knows that doing things quickly in the wake of media scrutiny has not served us well in the past; indeed, that’s why we’re having a Royal Commission.